Tradecloud offers multiple modules for automating your sales proces. Typically users start with Orders. 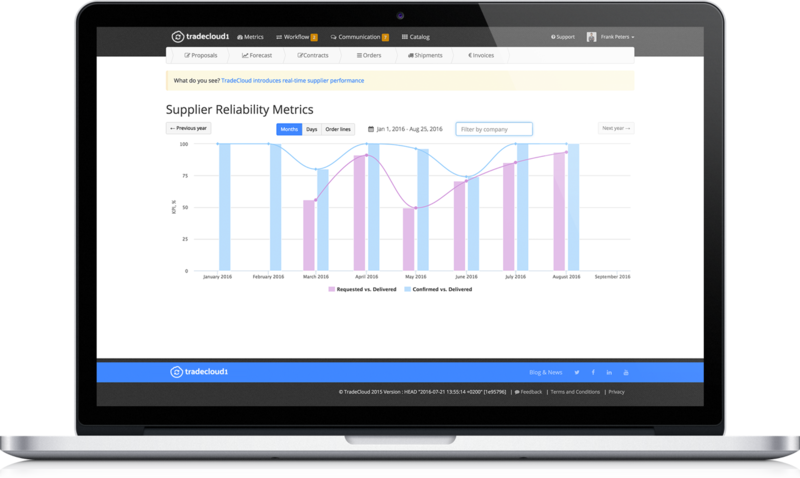 As a supplier, you receive orders directly from the customer’s ERP system through Tradecloud. You can then confirm or change the orders by number, price or delivery time. Changes are directly adapted to the linked ERP systems. Everybody looks at the same information. 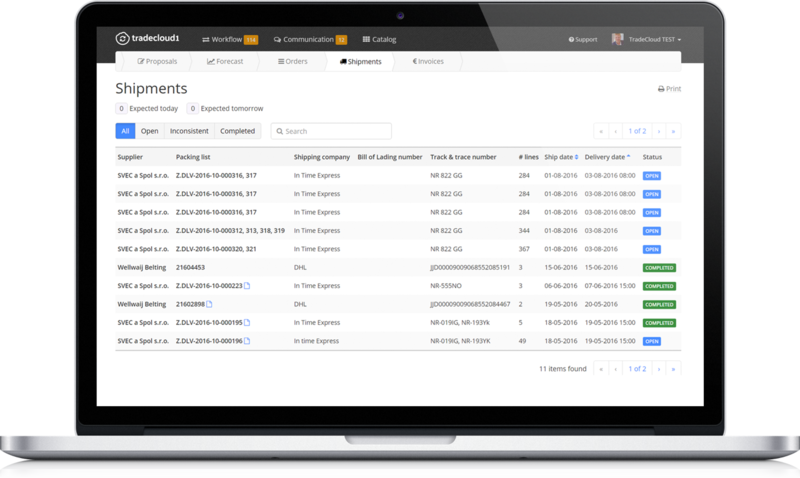 Give customers access to scheduled deliveries including track & trace information. Realize a better (JIT/Lean/QRM) planning for the production and/or warehouse of the customer. Announce and schedule deliveries. Give customers insight into expected orders, digital packing slips, freight letters and specifications. Buyers and vendors both have access to the same article information. Prices, delivery times, inventory and any CAD specifications are available real time for all parties involved. A central overview of all item master data results in fewer errors. Suppliers have access to their own article data and can customize them. Receive customer forecasts to better understand the future material needs of customers. Use the data to better customize your own process. Receive material requirements for article, number and date for the next 12 months. Get insight or give insight into inventory at different locations. Real-time view in your sales process so that you can focus on the exceptions. Some examples include: delivery reliability, order status, order volumes and order values. Quickly integrate with companies already active on the platform, e.g.